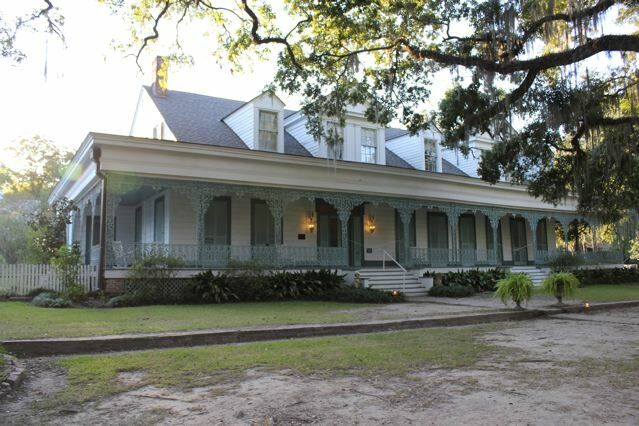 For a little weekend trip, we decided to head up to St. Francisville and stay at the Myrtles plantation. Before we got there, we went to some pretty cool WATERFALLS at Clark Creek Natural Area, but that’s another story for another week. St. Francisville is a quaint and hilly, historical burg about 2 hours northwest of New Orleans. 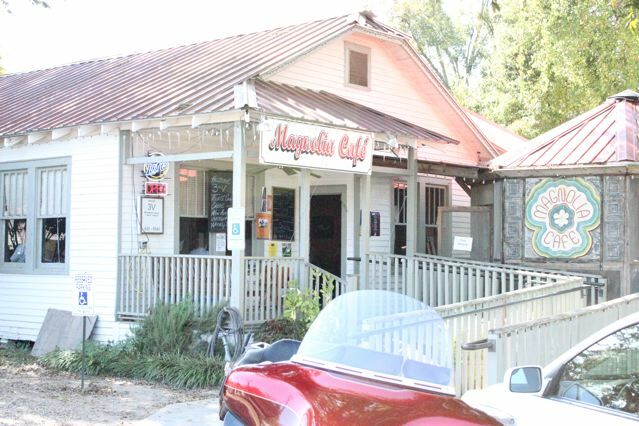 Visit the Magnolia Cafe for lunch when you get there(we did). The plantation has a reputation for being one of the most haunted building in America. You will hear lots of stories of a ghost slave named Chloe that poisoned her masters and freaky mirrors that reveal other spectres when you snap a photo. I was surprised at the haunted tourism that this place drums up. There were people from far away states who came just to experience the paranormal activity in the old plantation. 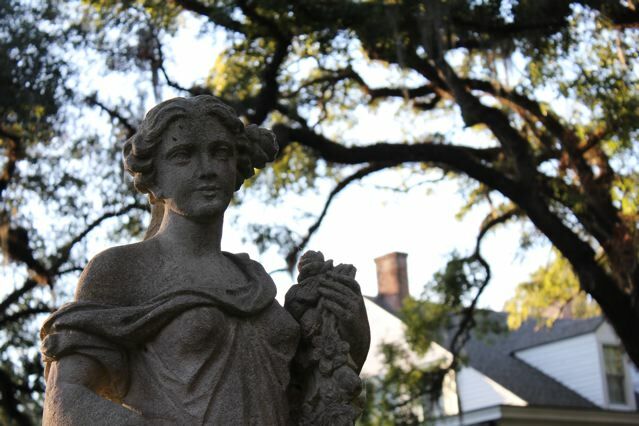 The Myrtles’ grounds are pretty creepy in their own right. 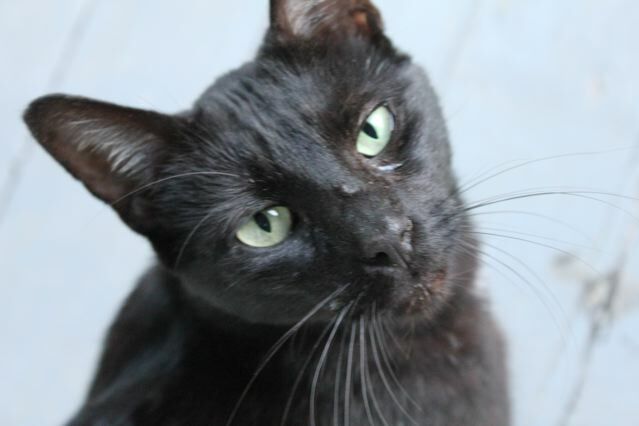 There’s about 9 or so black cats that roam the property and complete the haunty cliche. 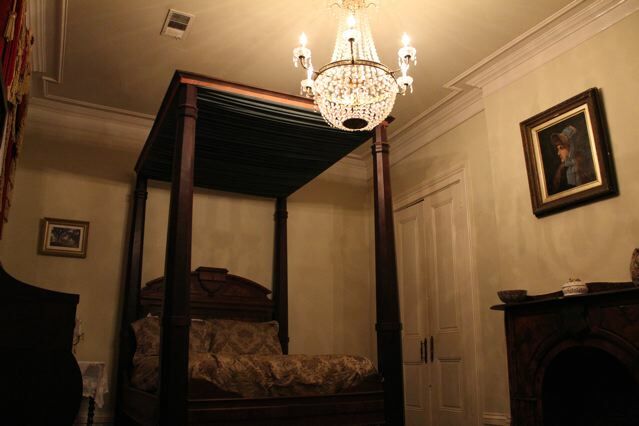 We took a night tour of the plantation’s haunted history and the guide informed us that our room, The General David Bradford Suite, had a reputation for its faucets running by themselves. Also, a ghost known as the Woman in Black, was supposedly particularly fond of lingering around our suite. Kinda freaky. During the night, I heard weird little noises all night. One was a gibberish chattering – another was a dragging sound that seemed to come from the floor above us. The next day, I looked to see what room was above our suite and I found out that there wasn’t one; The roof was the only thing above that portion of the house. Hmm. 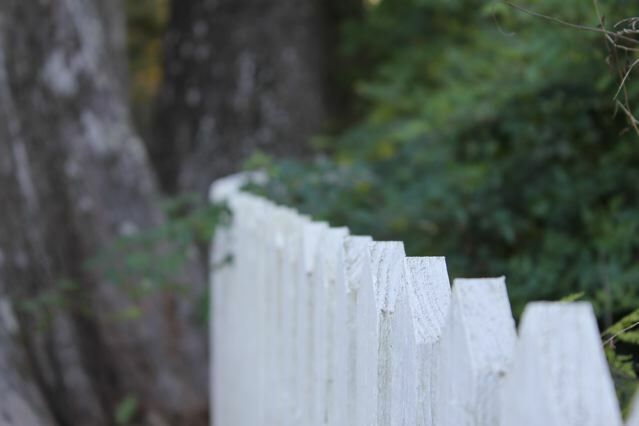 Here’s the whole story of the Myrtles. « NOadventure T-shirts are coming soon.